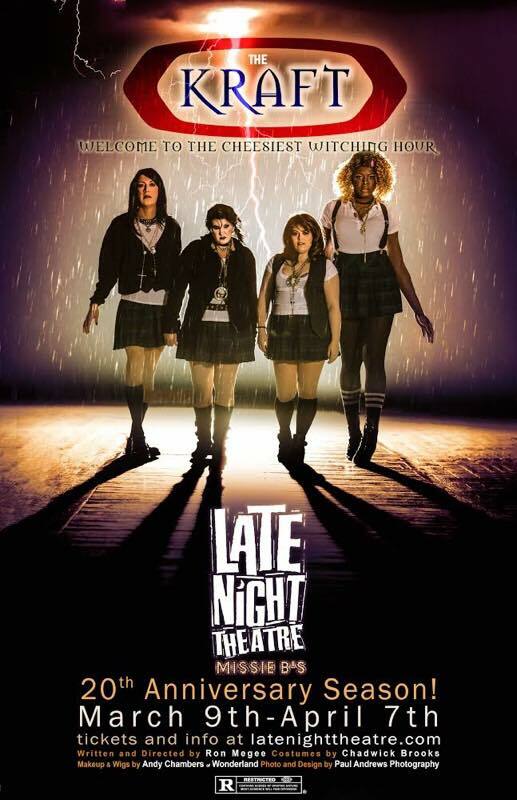 "I bind you Nancy, from doing harm to others and harm to yourself..."
Our cheesiest parody yet... Late Night Theatre takes on the 1990's cult classic The Craft...with half a crock pot of majickal Rotel dip! See how 4 seemingly normal teenage girls unlock the mystical powers of the Kraft....!!! !